They have been providing exceptional service to Leduc and surrounding area for over 30 years. In 2003 and 2012, Leduc Goldsmiths received the prestigious award from the Leduc and District Chamber of Commerce for SMALL BUSINESS OF THE YEAR in Leduc. 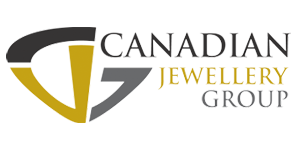 Through reliable trustworthy service, Leduc Goldsmiths has gained the business of several Leduc & Nisku companies coming up with unique logoed jewelry designs for corporate service awards. With the use of a state of the art CAD (computer animated design) program they have the ability to design just about any piece of jewelry you can think of. Being a family owned and operated business which does all the work on site means customers have a one-stop jewelry store for designing customized pieces, re-sizing, repairing, rhodium plating and of course complimentary cleaning and inspection of their jewelry. Leduc Goldsmiths also offers several types of jewelry including Canadian Diamonds, Engagement Rings, Wedding Bands, Amolite, Family Jewelry and Watches.